It’s easy to code a basic pop-up to prompt users for their email address. But within just that design concept, there are so many ways to make user-hostile mistakes. We’ll talk about some great ways to go about collecting email addresses from users and look at some ways you can mess it up. A newsletter signup link in the sidebar or navigation bar is the traditional, non-intrusive way to get users to provide their contact information. You’ll want to make it eye-catching but not too aggressive. It should be appealing to users that want to sign up, but not too large or distracting for users that don’t care. Of course, the newsletter content also needs to be worth reading, but that’s up to the writers of the newsletter to manage. Buffer ran an extremely successful campaign using colored banners alone. You can also draw attention to the signup link with attractive visuals. An attractive photo or well-done illustration will snag user attention appropriately. Running a sold-colored banner across the top of the page will also grab user attention. 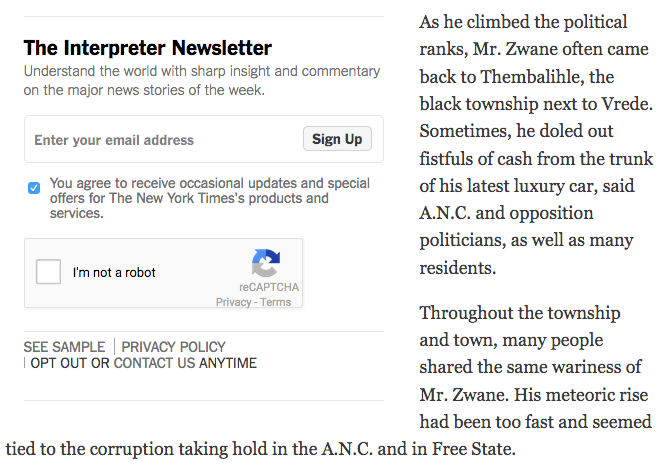 Positioning is also important: top of the page is best, with sidebar second best. For articles, running an interstitial ad can work too, grabbing readers that have already shown an interest in the site’s content. The New York Times requests user email addresses in the middle of long posts, grabbing readers that are already clearly interested. Avoid moving images of any kind, especially looping GIFs. Any banner images or similar content should be dismissable if it makes up more than a small percentage of page height. As always, annoying users is a poor way to get their attention. J. 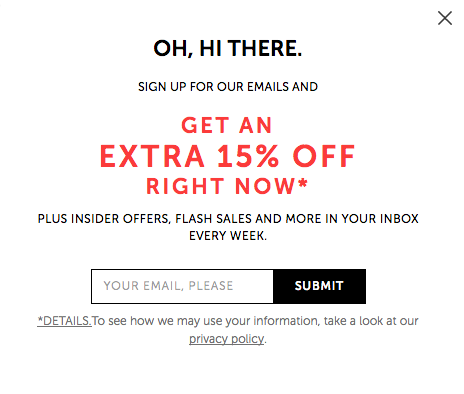 Crew Factory’s email pop-over offers a concrete incentive, a clear closing X, and clicking outside of the pop-up immediately dismisses it. The pop-up and pop-over window may be the single most divisive tool in a web developer’s toolbox. It’s invaluable for communicating important information to the user, but it can also be infuriating. Some web developers will abuse the pop-over window, splashing them across sites to interrupt the user and beg (or shame) users for their email addresses. Even user-savvy Google makes this kind of mistake, shaming the user for their choice and offering a cancel option begrudgingly. Pop-over windows shouldn’t be your first choice for collecting email addresses. But if your client demands such a tool, you’ll want to design it as carefully as possible. Make sure the value in signing up in clear and concrete. Copy that promises vague or amorphous value is ineffective. Trashy content meets trashy user design. Do not imitate this cancel dialog. Especially avoid language that shames or insults the user for not providing their email address. Make it extremely easy to quickly exit. Clicking anywhere outside the pop-up window should bring the user back to their original page: hidden Xs or exit boxes should be expressly avoided. Don’t you dare dunk on the user for unsubscribing. This will only make unhappy users unhappier. Make sure users can leave a newsletter box checked or unchecked at will: the form shouldn’t force it on users. If a user is buying something from your website, they’ll often be willing to create an account. After all, you need to communicate with them somehow, and it’s only reasonable to do that over email. 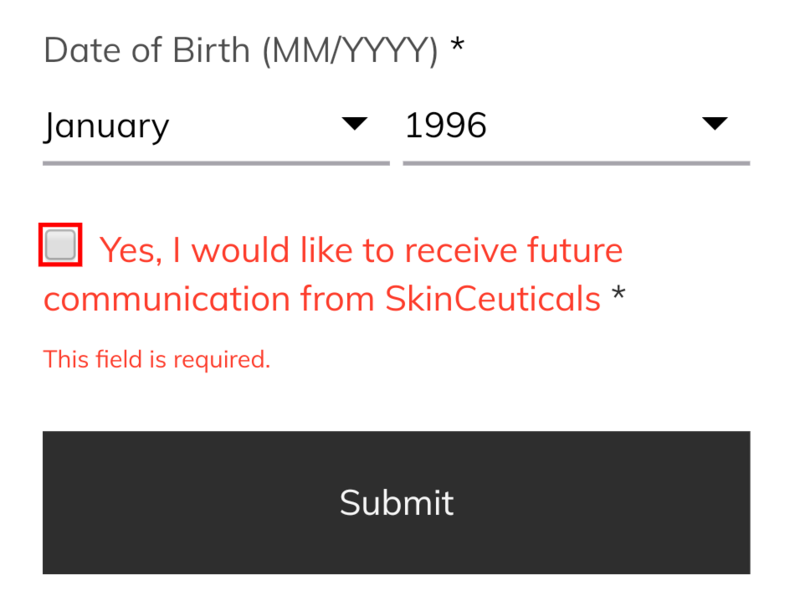 SkinCeuticals fails to understand the functionality of a checkbox, which may actually fall afoul of anti-spam regulations. 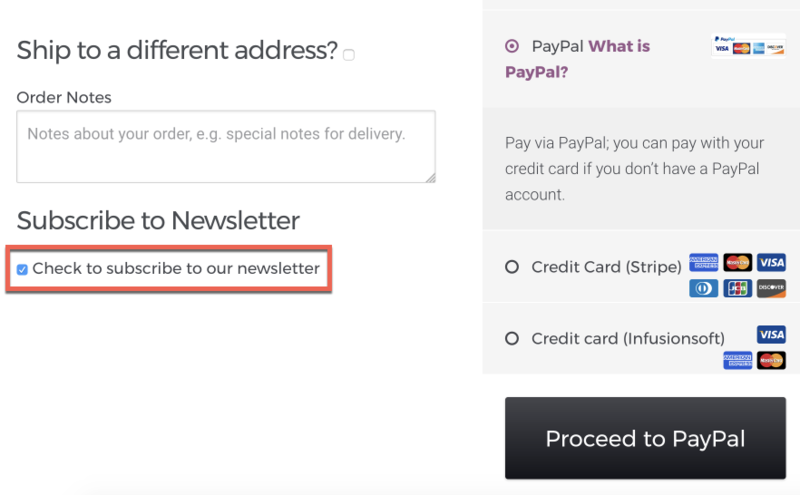 You can add a checkbox that signs the user up for your newsletter while you’re at it, but make sure that unchecking that box is clear and simple. Don’t use tricky language or double negatives to confuse the user. Adobe requires users to agree to receive their newsletter when signing up. No matter how good your client believes their newsletter content is, this is a bad play. But what about other website types? Forums and social networks use accounts to manage content creation, so that’s an easy one. News websites are a little trickier, but you can use an account to manage what stories users have or have not read, or surface content that users would be interested in based on their previous reading. That’s easy enough to track on the backend, but writers will need to maintain an accurate ecosystem to tags for it to be truly effective. Users are smart enough to not just give away their email addresses to anyone who asks. They want to know what they’re getting out of the deal. Will they get content faster than other users, or find out about special deals first? You will often need to provide users with an incentive when collecting email addresses. Often, a business owner can encourage users to hand out their email addresses by offering a coupon or discount to email subscribers. Encourage your clients to think about how they can sweet-talk users into getting on their mailing list. 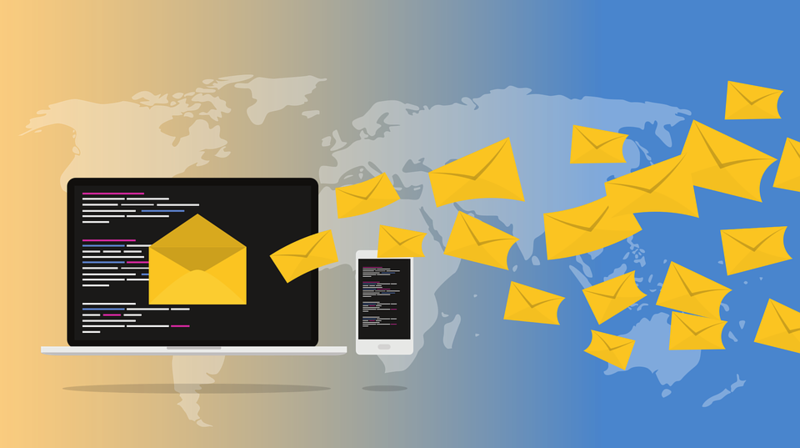 A 10% discount is often sufficient, and easy enough for most businesses to supply, considering the value of having a paying customer on their email rolls.